As for the aspect to set up a die and a machine part, the machine finish with the Plano mirror is performed for the purpose of protection of the important work. By use of electric gyadomota and the adoption of the unique new chain hall method, I achieved simple structure for high torque without using the oil pressure. Therefore, I reduced a burden on workers without minding trouble and the oil leak of the oil pressure valve even in the case of use for a long term and realized the low price that was better to the needs in the times. Very space-saving in circulately moving it, and turning over that the inversion board was based on a pivot point. The triple safety device using a double limit switch and the stubborn stopper prevents an overturn. Even if the first step limit breaks down, the second step limit switch operates and a warning buzzer informs the trouble of the first step limit by any chance. In addition, it is interlocked if I set a safe lock lever at the time of 90 degrees inversion, and the body may not begin to move even if I push the operation button by mistake. In addition, I incorporate the short circuit breaker. 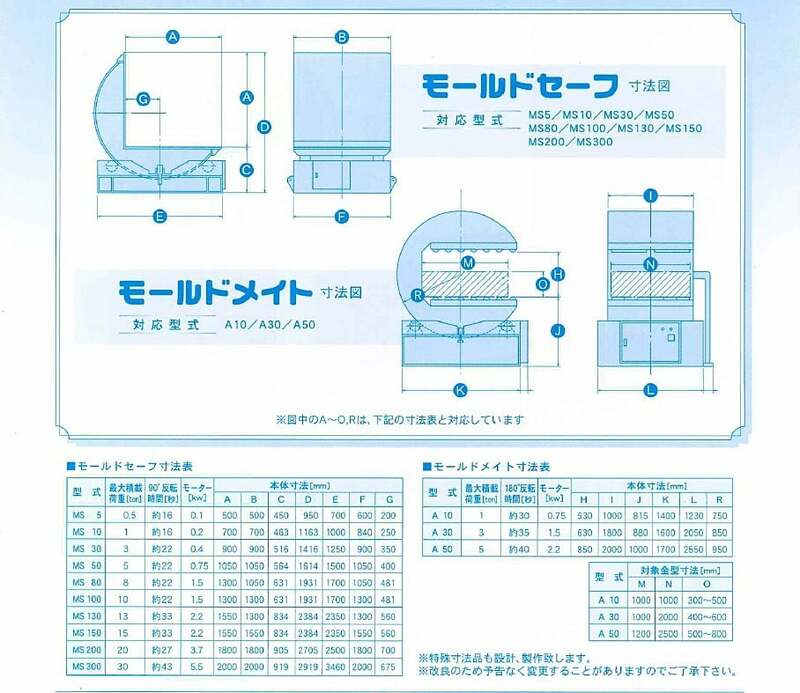 I do the correspondence of the offer of the low-priced article by the most suitable design to big user of waste in the sealed pattern. In addition, the rich option group meeting a movable die support and a durable coil bolster, a request of users including the roller conveyer installation that I can install in the line prepares. Copyright©sakaniwa industry All Rights Reserved.